The Town Tinker Tube Rental puts in at Point 2 and takes out at point 4; we carefully maintain this section of the creek. Please note that point 1 is unsafe for tubing or swimming. 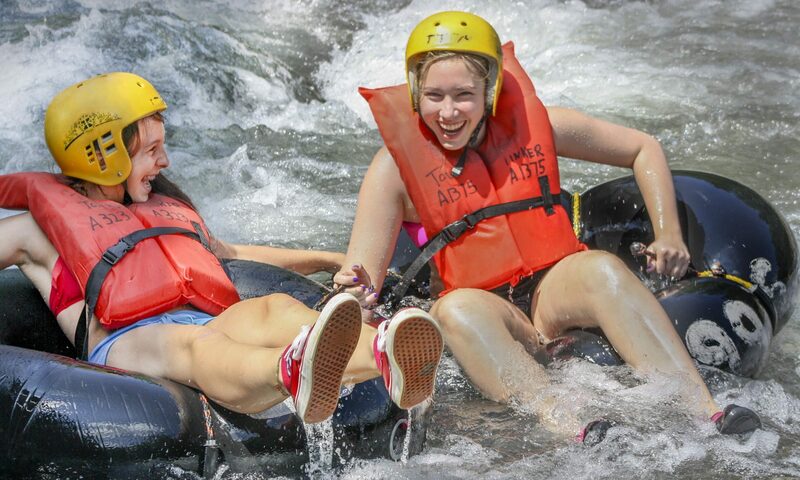 The tube taxi will take you up to point two (2) for your exciting ride down The Esopus Creek. You’ll enjoy constantly moving water and some exceptionally enjoyable rapids that are sure to get your attention and make for some great memories. Be sure to be safe and wear a life jacket at all times; carrying one is not the same as wearing one. Keep a low center of gravity and have a great time. When you see the number four (4) on a bridge, take out on the left side of the river (from the perspective of traveling downstream – of course). Enjoy your action in Catskill Park!